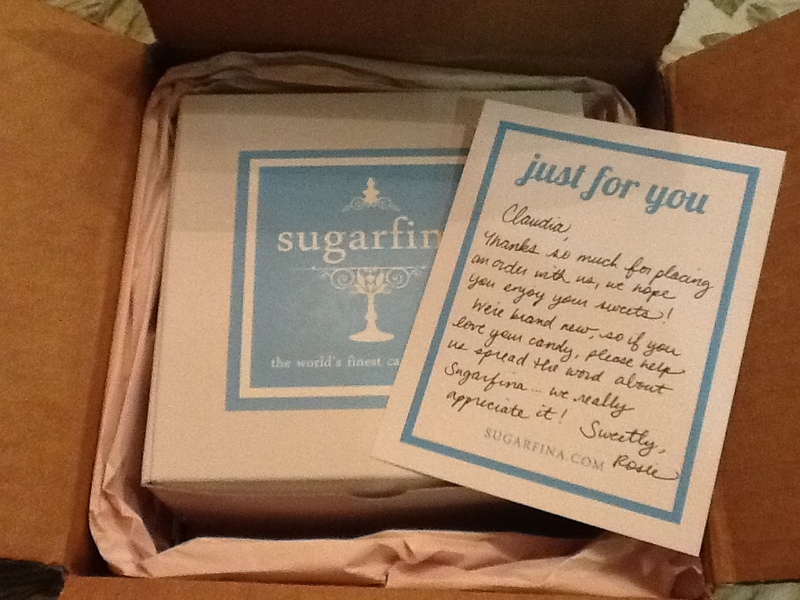 Sugarfina -the finest candy comes by mail! 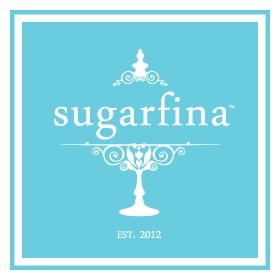 Sugarfina is a web-based candy boutique that carries some of the finest, and most unique candies that you would ever want to eat. 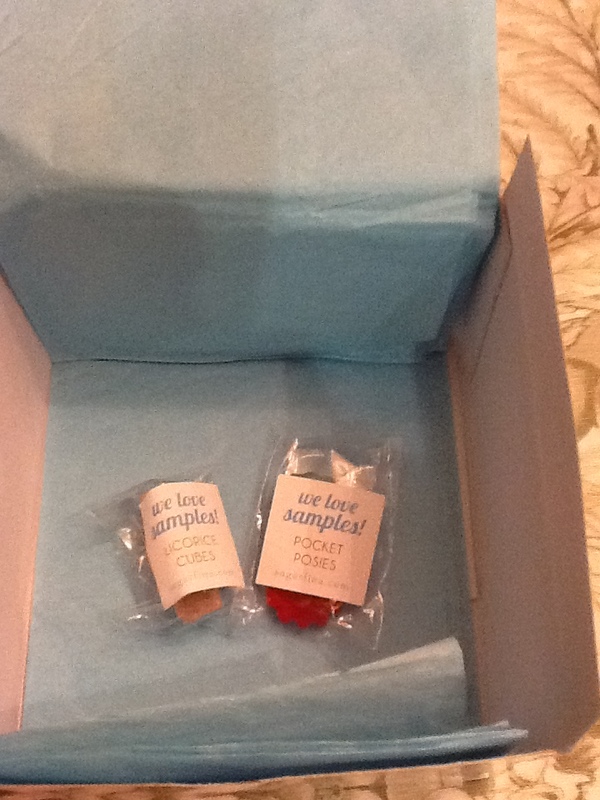 The founders, Rosie and Josh decided to create a place where you could find the best candies from around the world. 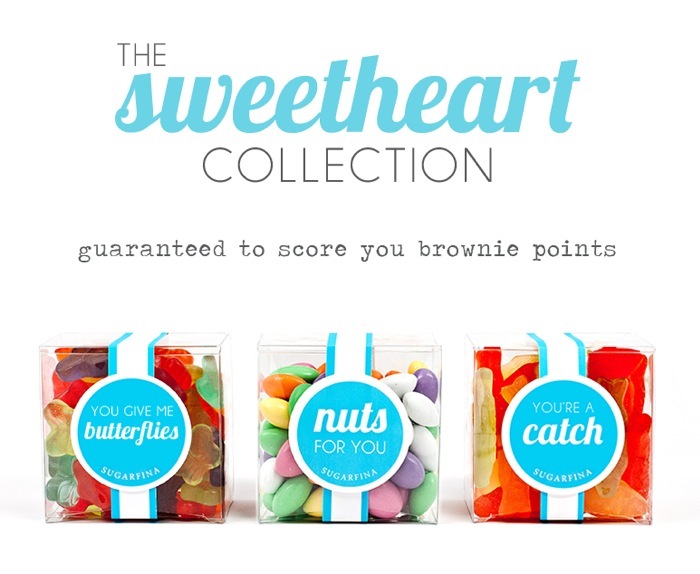 If you love candy, you really must give them a visit. The beautifully designed web site is full of colorful candy, and chocolates with suggestions, and tasting packages (in case you can’t decide). The packaging is refined and nicely designed. 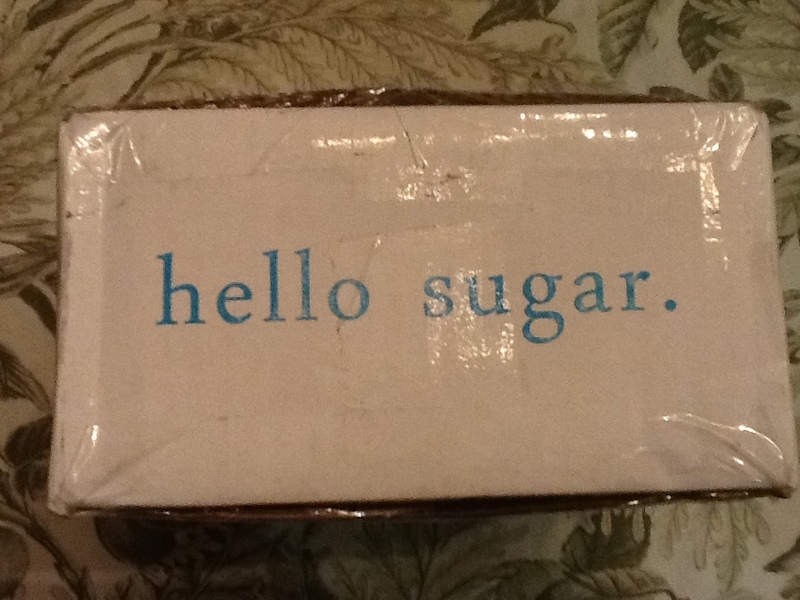 Even the shipping box says “hello sugar”! 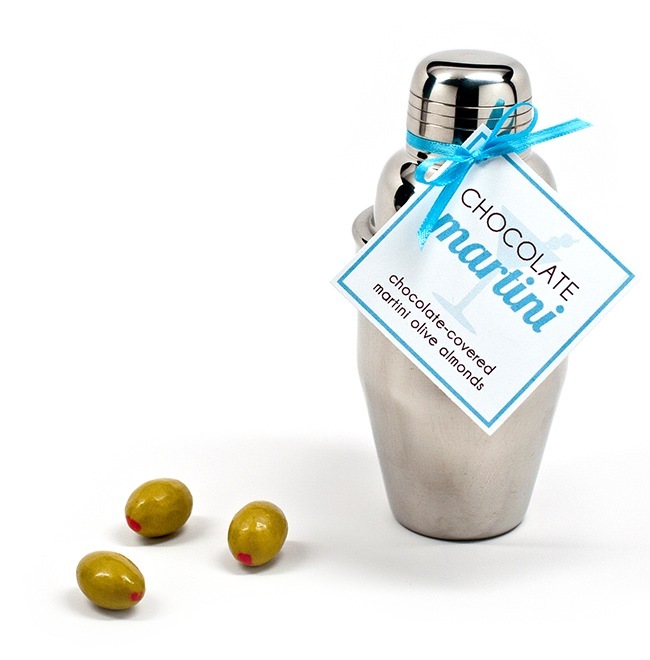 Look at these gift ideas…too clever! Remember, the holidays are right around the bend…. 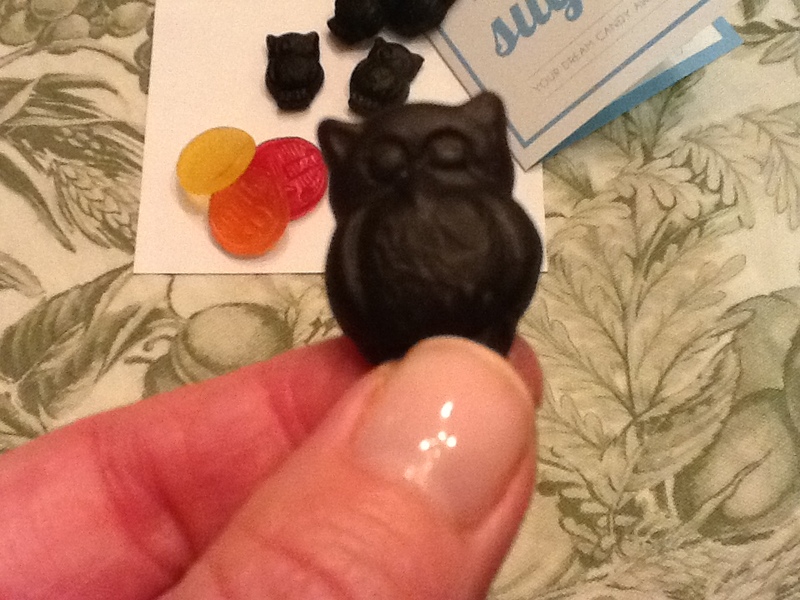 delicious candy, really outstanding, and fun, too…look at the licorice owls! 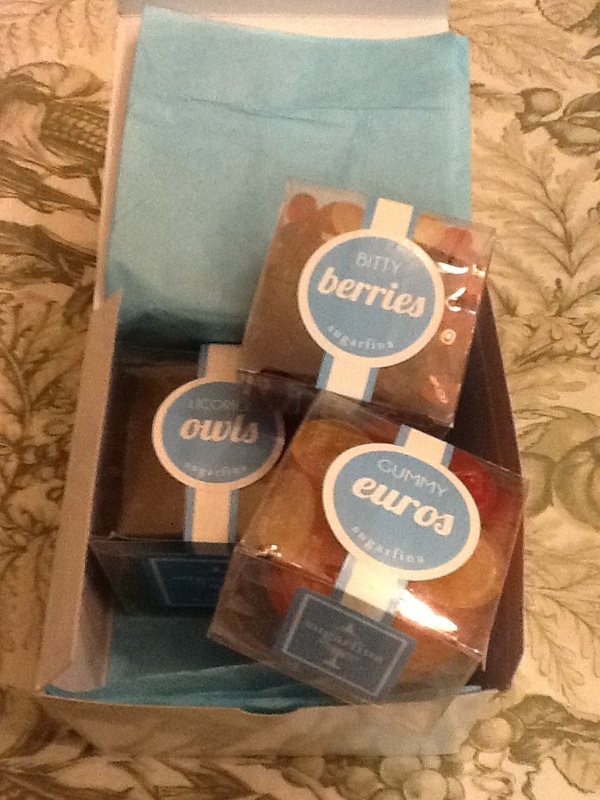 and gummy Euros! The mini fruits are so yummy that I could eat way too many, way too quickly. 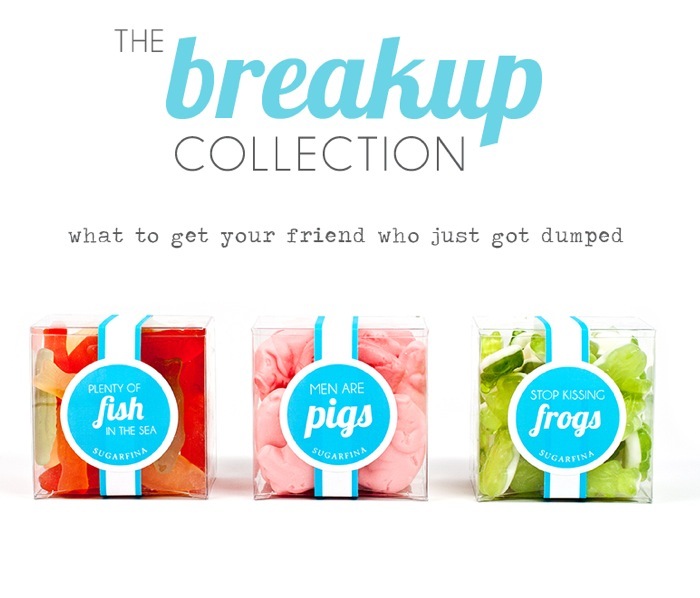 For now I will package them back up in their boxes, and ration them out slowly (but I bet they won’t last too long). Good thing they deliver so quickly. Posted in All Things Chocolate, chewy candy, internet treats. Bookmark the permalink. 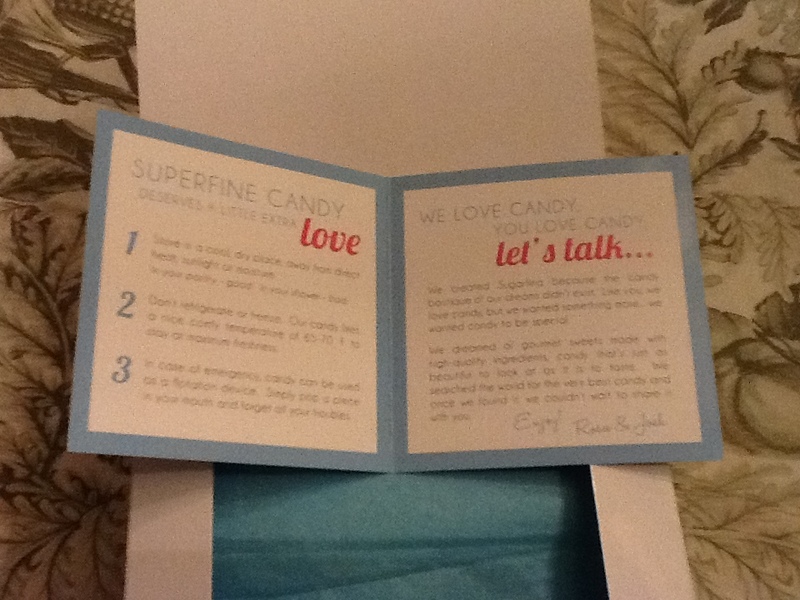 thanks for the sweet write-up, we’re so happy you found us! I’m so glad that your wonderful shop is open. I think it was made just for me! 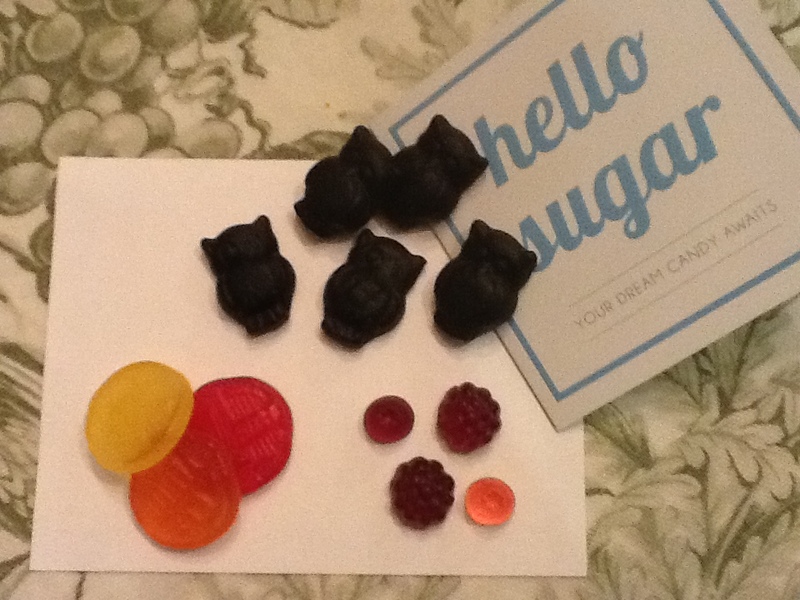 And the sweets are as fabulous as the labels. Also, your blog is great!